Stanford's junior All-American David Chung wins the prestigious Porter Cup played at Niagara Falls GC against a top field of elite amateurs from around the world. With rounds of 65-72-65-65 David's 13-under total of 267 was 3 shots ahead of first team All-American Peter Uihlein and 15-year-old local area favorite Gavin Hall. 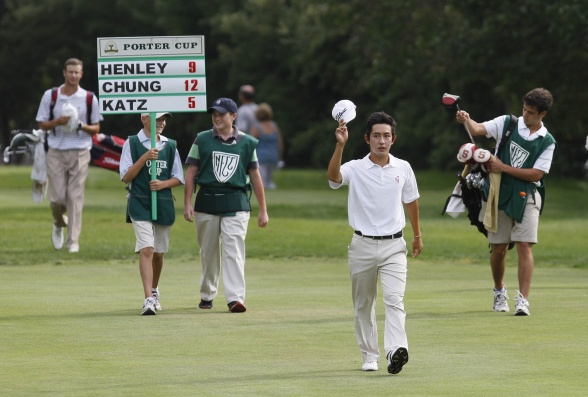 After an even-par front nine Chung had five birdies on the back nine firing a 30 to capture the event. Teammates Andrew Yun and Sihwan Kim competed with Andrew finishing tied for 22nd with rounds of 72-70-69-67 while Sihwan finished tied for 48th after his rounds of 67-76-67-74. Golf Week online talked with David after his win: Tied for the lead at 8-under going into the final round with Henley and Jake Katz, a senior at SUNY Binghampton, Chung got off to a rocky start with bogeys on the first two holes. He made two birdies coming in on the front to turn in even par 35 and then kicked things in gear on the back. He birdied No. 10 from eight feet and 11 from 15 feet. His four-footer found the hole on the par-3 13th and then he finished it off by sinking an eight footer on 17 and two footer at 18. “Right now it feels pretty awesome,” Chung said. “To win against these great players is special. I think the key was my putting all week. I just had a lot of confidence over the ball. “Also, I stayed patient and kept everything under control,” he said. “The biggest thing was playing mistake free golf coming down the stretch today. I was under pressure and feel I handled it well.” Read the full Golf Week article. STANFORD, Calif. - Knowles Family Director of Golf Conrad Ray has appointed former Stanford standout Philip Rowe to the position of men's assistant golf coach. A three-year letterwinner at Stanford from 2000-02, Rowe earned Golf All-America honors as a senior after recording seven top-10 finishes, highlighted by a first place showing at the U.S. Intercollegiate and a second place finish at the Pac-10 championships. Rowe, who graduated from Stanford in 2002 with a bachelor of arts degree in psychology, was also a two-time All-American Scholar Athlete honoree by The Golf Coaches Association of America. 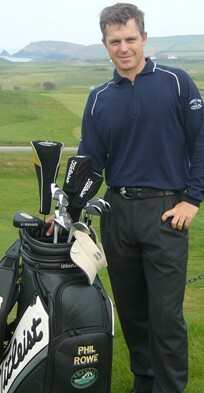 A native of Cornwall, England, Rowe has played professionally on various world tours since 2002. Since 2005, Rowe has made his mark on the Professional Circuit in France, winning three tournaments and finishing in the Order of Merit's top-10 each year. He also was a member of Great Britain & Ireland's Walker Cup team in 1999, winning all three of his matches in helping GB&I to a victory over the United States. 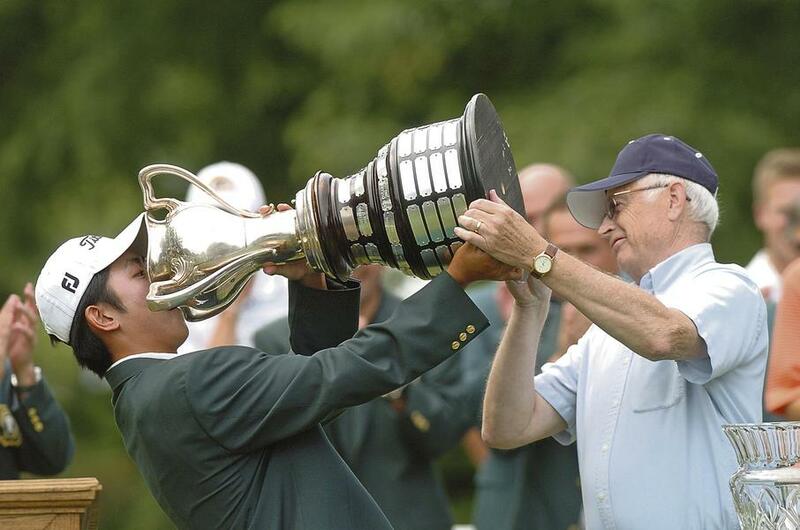 He also participated in the 2000 British Open held at St. Andrews. "We are very excited to have Phillip return to The Farm as an assistant coach," said Ray. "His vast array of amateur and professional golf experience will be a tremendous asset to our program. 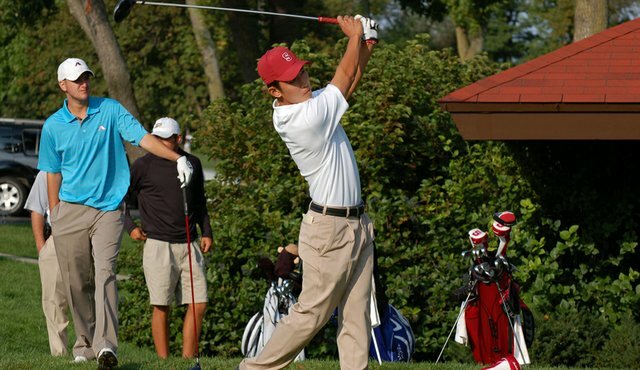 He was able to leave his mark on Stanford Golf as a player and I am sure he will even have more impact as a coach." Exciting news indeed. Here's an in-depth interview with Philip. To learn much more about Philip please visit http://www.prowegolf.com/. Stanford players competed in three different summer tournaments over the past week, the Players Am, US Public Links and Trans-Miss events. Players Am - The event was played in Bluffton, SC where David Chung, Andrew Yun, Cameron Wilson and Dodge Kemmer competed. David was 7th at 4-under 284 with rounds of 71-71-69-73. Dodge tied for 8th at 283 shooting 72-68-73-72, to tie with Andrew shooting rounds of 77-69-71-68 T-8. Cameron missed the cut after rounds of 82-77-70. Here are complete scores. Here is the partially updated tournament website. US Public Links - Andrew Yun competed in the event where the winner qualifies to play in the Masters. After qualifying rounds of 132 total Andrew fired 69-66 rounds to finish 5th in stroke play qualifying to move into match play with 64 players. After a dominating 6 & 5 win in his first match, Andrew was stunned by Indiana native Chase Wright despite going Andrew going 4-up after 4 holes. Wright stormed back playing 6-under golf winning 7 of the last 12 holes. The official website. In the Trans-Miss Amateur played in Denver five Stanford players competed led by Dodge Kemmer and Steve Ziegler tying for 13th. Dodge led after round 1 with a 65 followed by 70-77 while Steve started slowly with a 74-72 and finished with a sizzling 66. Steven Kearney had rounds of 71-73-71 to tie for 22nd with Graham Brockington who shot 73-72-70. Wilson Bowen tied for 56th with rounds of 77-75-77. The Trans-Miss website. Scarsdale, N.Y. – Many of today’s elite junior golfers are a concoction of hubris and cool. The physical stereotypes are obvious; collar turned up, sunglasses covering the eyes, a confident gait. And there’s the entourage replete with doting parents, a high-profile swing coach, sports psychologist, nutritionist, trainer and sometimes even hangers-on who claim to be “advisors.” Even the sound bytes appear rehearsed. They might only be teens, but they’re already walking, talking and playing like grizzled PGA Tour stars. Then there’s Cameron Wilson. 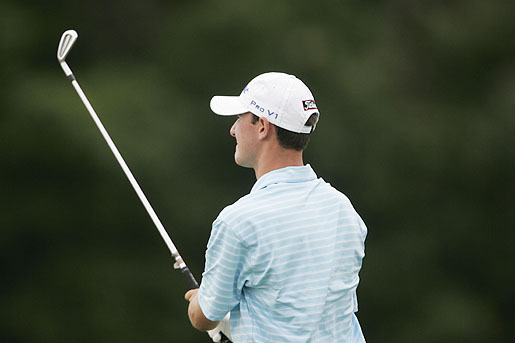 The 17-year-old Rowayton, Conn., resident is one of the country’s best junior golfers. His resumé screams success: quarterfinalist at the 2009 U.S. Junior Amateur; round of 32 at the 2009 U.S. 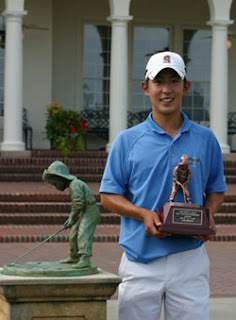 Amateur; youngest champion of the Met Amateur and the 2009 Metropolitan Golf Association Player of the Year, based on a year-long points list. Yet you would never guess at the accomplishments by talking to the humble teen. He doesn’t offer a lot of glib. He won’t boast about past success nor does he worry about bloated expectations or rankings. That’s just not in Wilson’s DNA. As the 2010 U.S. Junior Amateur approaches at Egypt Valley Country Club in Ada, Mich., Wilson would have to be considered one of the favorites to hoist the championship trophy, along with defending champion Jordan Spieth and 2007 runner-up Anthony Paolucci. Last year at Trump National Golf Club in Bedminster, N.J., Wilson barely made the match-play cut, but advanced to the quarterfinals before losing to fellow left-hander Logan Harrell. He lost to another lefty (Phillip Mollica) in the round of 32 at the U.S. Amateur. But Wilson, one of the few competitors entering college in the fall – he signed with Stanford last November and is eligible for the Junior because he doesn’t turn 18 until Nov. 2 – won’t cast himself in the favorite or underdog role. Confident? Yes. Cocky? No way. “As long as I play well, I should have a chance to win,” said Wilson. In the prestigious North & South Amateur played at famed Pinehurst #2, defending champion David Chung lost in the semi-finals on the 20th hole while recent grad Joseph Bramlett lost in the 3rd round 4-3. Complete tournament coverage can be found here. In last year's event, David Chung won the event as you see him with his trophy below --- see the complete recap of last year's event here. Stanford rising sophomore Andrew Yun wins the Dogwood Invitational at 20-under par with rounds of 66-62-71-69. His 2nd round 62 tied the course record. Rising senior Sihwan Kim tied for 5th 6 shots back with rounds of 68-68-67-71. The 2010 Dogwood Invitational came down to the 72nd hole to determine its' Champion. Andrew Yun of Stanford University hit his approach shot to the par 5 18th at Druid Hills Golf Club to 3 feet for birdie to win by one shot at 20 under par. Atlanta's Anders Albertson, who will be a Freshman at Georgia Tech in January fired a 69 on the final day but it was one shot short. The tournament turned into a final day "match play" finish between the two with the turning point being Yun's chip-in eagle on the par 5 fourteenth. When Albertson bogied the 235 yard par 3 seventeenth, the event was all square at 19 under and a playoff seemed likely. Albertson's long birdie putt on 18 just missed, leaving Yun with a tap in win to close out the championship. See complete tournament coverage.